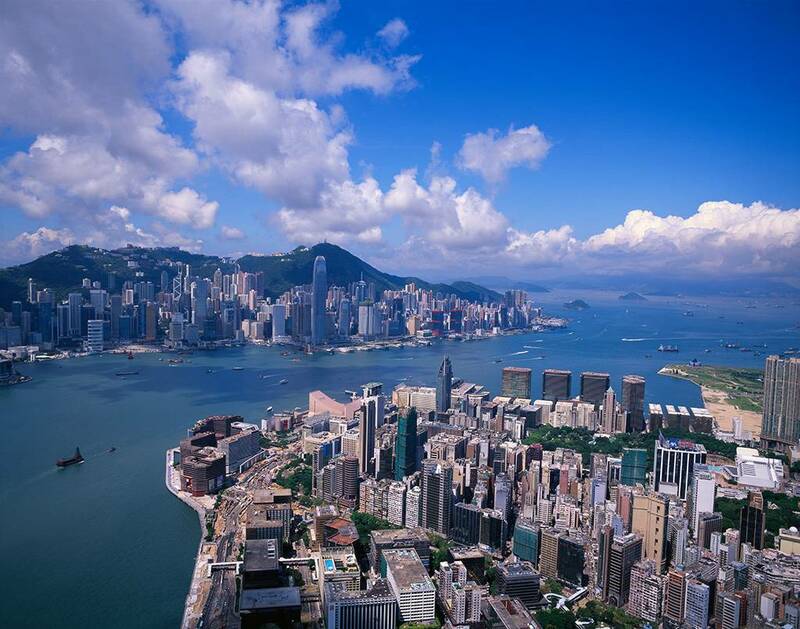 Experience the best of both worlds with The City and Nature Helicopter Tour Experience in Hong Kong– The contrast of islands, bays, beaches and the green mountain countryside in Sai Kung with the ever-changing high-rise urban splendour in Hong Kong Island and Kowloon. 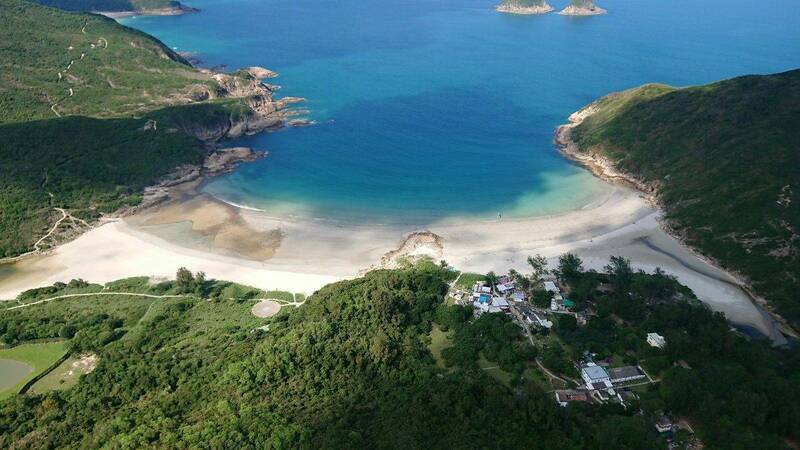 Top it off with a flypast of either the Big Buddha or Tsz Shan Monastery (Guanyin) too. Hong Kong has one of the most stunning and exciting skylines in the world with many famous sights both old and new, so what better way to see it than from a helicopter! 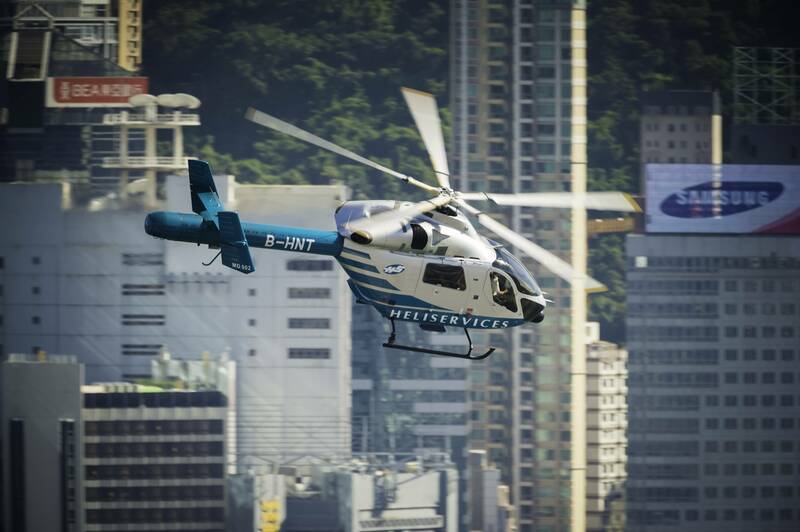 Come and experience Hong Kong from the air on Heliservices' MD902 helicopter. Sightseeing Tours seat up to 6 passengers on a private basis. If you are looking for a unique and unforgettable way to see Hong Kong, a helicopter ride is the only way to go ! Sightseeing Tours seat up to 6 passengers on a private basis. If you are looking for a unique and unforgettable way to see Hong Kong, a helicopter ride is the only way to go! Flights depart from either the Peninsula Hong Kong, Tsim Sha Tsui or the Wanchai Heliport, next to the Hong Kong Convention & Exhibition Centre and Golden Bauhinia Square. Date, time & exact venue of departure will be confirmed to you by email up to 48 hours after you placed your order. Flight time & route are approximate and are subject to the discretion of the pilot. Every effort will be made to adhere to the Itinerary. The tour provider Heliservices reserves the right to amend or cancel flights if the conditions do not adhere to safety requirements. However, the flight can be re-scheduled to an agreed date/time. 1. Are there any age restrictions on the flight? There must be 1 adult (over 18) to accompany any children below the age of 12. Children under the age of 2 cannot be accommodated for safety reasons. Each passenger must occupy their own seat On the flight. 2. What is the difference between a Shared Tour and a Private Tour? Shared Tours operate on a per-seat basis with passengers sharing with up to 6 other guests. Private Tours allow passengers to enjoy the entire helicopter on an exclusive basis with seating for Up to 6 guests as well. 3. What type of helicopter do you fly? All our flightseeing tours are flown on an MD902 which is a twin-engine helicopter with seating for up to 6 passengers. The aircraft is air-conditioned, quiet, and provides excellent visibility all around. We require a minimum of 72 hours' notice to change or cancel your booking. Tours re-scheduled or cancelled within 72 hours of flight time will not be reimbursed.247tickets and Heliservices will be fully indemnified against any Claims for compensation or expenses incurred by the passenger as a result of any flight cancellation. 5. What happens if our tour gets cancelled due to weather? 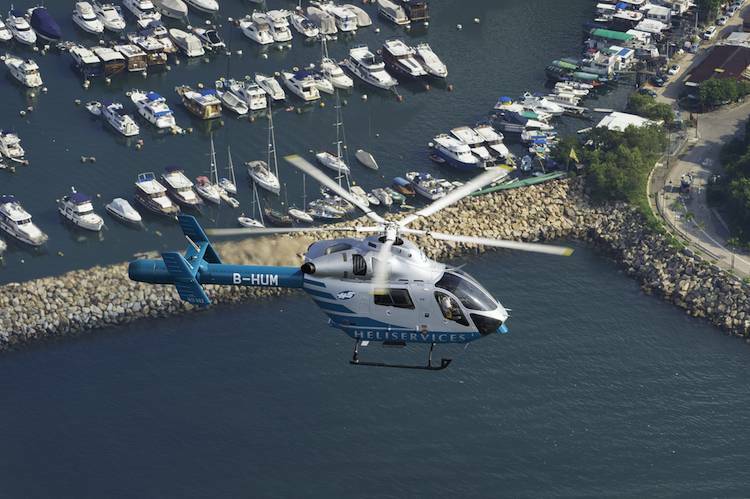 The tour provider, Heliservices flies in accordance with conditions set out by the Hong Kong weather minima and if your flight is cancelled as a result of weather, we will make every effort to re -schedule your booking. 6. Will I need insurance when taking my tour? No. Heliservices flight services are fully insured and our insurance policy is the same as any other major Hong Kong airline. Detailed information is available upon request. WE Wear for the What Should 7. at The Flight? Of As at The temperature Controlled Helicopter IS, WE Suggest is you Dress Comfortably. Hats are not allowed to BE Worn around at The Fly Helicopters AS CAN INTO They Rotors and at The Damage at The Aircraft. 8. How much experience do your pilots have? Heliservices' pilots are some of the most experienced in the world. The crew undergoes scheduled recurrent training and proficiency checks with our own in-house HKCAD-authorized Type Rating Examiners and Line Training Captains which helps Ensure that we maintain the highest safety standards. 9. I am 6 months pregnant. Can I still fly? Yes, but please consult your doctor should you have any concerns. 10. How low do you fly? As a general rule, we can fly as low as 500 ft above non-populated areas. 11. I'm in a wheelchair. Can I still take a tour? Absolutely. The tour provider, Heliservices, can assist passengers with boarding and disembarking the helicopter.